DayStar Ministries accesses a mixture of Temperament Therapy along with Prepare/Enrich to provide pre-marital counseling. Studies show that pre-marital counseling reduces the chance of divorce by up to 30%. After going through 5-6 sessions, you will have a clearer understanding of who you are and who is the individual that you want to spend the rest of your life with. The package price for this is $395. This includes 2 APS reports along with the Prepare/Enrich assessment. Consideration will be made on an individual basis for low-income situations. 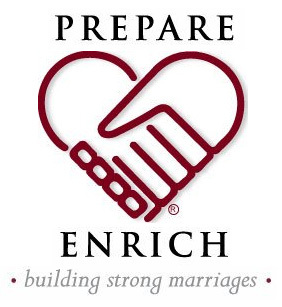 PREPARE/ENRICH is a customized couple assessment completed online that identifies a couple's strength and growth areas. It is one of the most widely used programs for premarital counseling and premarital education. It is also used for marriage counseling, marriage enrichment, and dating couples considering engagement. Based on a couple's assessment results the facilitator helps the couple discuss and understand their results as they are taught proven relationship skills. Over the last 30 years, the PREPARE/ENRICH relationship assessment has empowered and energized more than 3 million couples. PREPARE/ENRICH is the #1 relationship inventory and couples assessment tool. What relationship areas are assessed by the Inventory? PREPARE/ENRICH has validity in that it discriminates premarital couples that get divorced from those that are happily married with about 80-85% accuracy. Reliability is high (alpha reliability of .80 - .85). Schedule your Pre-Marriage Counseling session! For more information about research with the PREPARE/ENRICH Inventory, view Research Articles. For information on fees, see New Clients. For more information about our counseling services and/or to set an appointment with Dr. Daniel R Sirstad, refer to Contact Us.